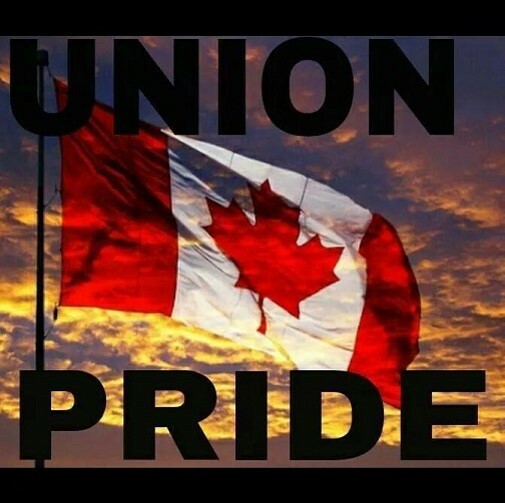 Community and Union support for those dedicated to getting the collective agreement at the Goderich Salt Mine they so richly deserve and not the bag of crap offered up by the employer. Solidarity Sisters and Brothers. This entry was posted in Uncategorized on June 28, 2018 by greybrucelabour. OPSEU 276 rally sees OPSEU President, Smokey Thomas, speak and give inspiration to the workers now on the line for 6 weeks in Owen Sound. Brother Thomas makes it clear that the fight to get an agreement is about to get serious. The Grey Bruce Labour Council picketed and prepared to get more people on the line as the employer continues to refuse to meet and brings in scabs. This entry was posted in Uncategorized on June 27, 2018 by greybrucelabour. For all my Sisters and Brothers everywhere. However, even more so for my Sisters and Brothers in America’s public sector unions. Today the Trump lapdogs on the Supreme Court helped Trump and his repugnant ilk undermine the most effective engine for positive social change anywhere, the Labour Movement! One thing about the Labour Movement, the Movement has grown and preserved in the shadow of worse thugs than Trump and although battered and perhaps bruised a bit my Sisters and Brothers and the Labour Movement will be here long after the Trump ilk are dumped into the outhouse of history. Solidarity Sisters and Brothers. I’m sticking with the Union. This entry was posted in Uncategorized on June 24, 2018 by greybrucelabour. Grey Bruce Labour Council honours this year’s Grey Bruce Labour Council Robert White Social Justice Award winners and issues annual challenge to support the United Way Backpack Program. Grey Bruce Labour Council honours this year’s Grey Bruce Labour Council Robert White Social Justice Award winners at the annual celebration BBQ. Congratulations to our winners. In their hands the future is indeed brighter. In addition, the Grey Bruce Labour Council Executive is pictured with United Way Executive Director, Francesca Dobbyn, as she is presented with a $500 dollar cheque from the Labour Council to kickstart the Council’s challenge to affiliates to meet or exceed this contribution to the UW Backpack Program. The United Way of Bruce Grey has provided over 20,000 fully stocked backpacks to students returning to school in September over a 10 plus year commitment to ensuring every student gets a good start every school year. The 2nd annual Kincardine Pride Parade/Celebration took place on June 23rd, 2018. The Kincardine Pride organizing committee created an amazing event where the best of people and community were on display in every corner of Kincardine. So fortunate to be able to march with CUPE OD President, Fred Hahn, “we are not going backwards for anyone and children born in Kincardine today and going forward will never know a Kincardine without an annual Pride Event. Congratulations to the organizers, their partners, the community of Kincardine, the affiliates to the Grey Bruce Labour Council and special thanks to Fred Hahn and his partner, Terry. This entry was posted in Uncategorized on June 23, 2018 by greybrucelabour.